Stars explode on a fairly regular basis, but they’re virtually impossible to predict. Now, for the first time ever, astronomers have captured an image of supernova they knew was coming. Here’s how they did it. 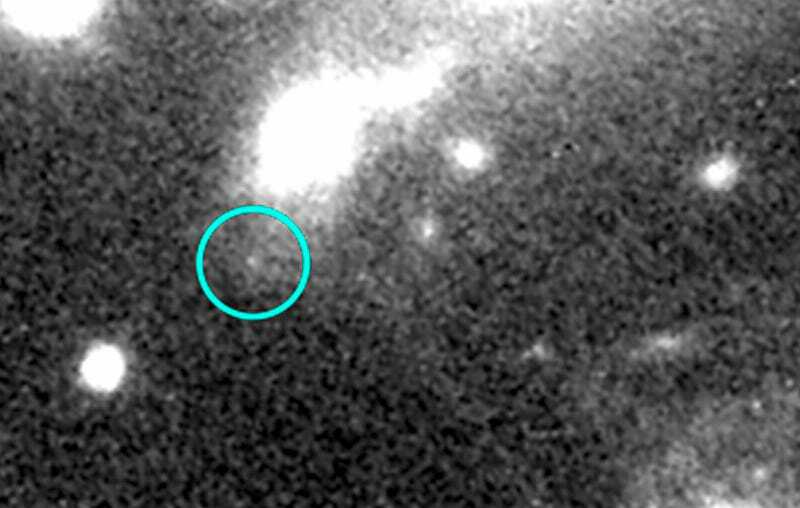 It may sound weird, but this is the third time that astronomers have observed this particular supernova. Owing to a quirky astronomical phenomenon known as gravitational lensing, we’re basically seeing an instant replay of an event that originally happened 10 billion years ago. Supernova Refsdal was first observed back in 2014. It showed up as four separate images in an arrangement known as an Einstein Cross. This optical illusion was caused by the gravitational forces exerted by a massive galaxy cluster, MACS J1149.5+2223, which from our perspective is in front of the supernova. Logically, the cluster should block our view of the supernova. But its tremendous gravitational forces are bending space-time around it. Essentially, the galaxy cluster is acting like a gigantic magnifying glass. What’s more, the beams took alternate routes to Earth, some longer than others, which is why we’re seeing a lag effect. We used seven different models of the [galaxy] cluster to calculate when and where the supernova was going to appear in the future. It was a huge effort from the community to gather the necessary input data using Hubble, VLT-MUSE, and Keck and to construct the lens models, And remarkably all seven models predicted approximately the same time frame for when the new image of the exploding star would appear. The models predicted a “replay” of Refsdal in late 2015, or the first third of 2016. In anticipation, the Hubble Space Telescope has been scanning that particular region of the cosmos since October. Right on cue, the supernova was spotted on December 11, 2015. The exercise was a remarkable opportunity for astronomers to test their models of how mass, including dark matter, is distributed within this galaxy cluster.